Har du hørt om Finnabair? Denne fantastisk talentfulle damen som har skapt sin helt egen stil der det røffe og feminine, romantiske og maskuline går hånd i hånd. Paper Layout Classes based on mixedmedia and scrapbookintg techniques. Their common part is multi-layering, richness of techniques. using a wide range of mediums and loads of elements to create one-of-a kind, personalized project. Industrial Baroque is time for making your fingers dirty, creativity flowing and pushing the boundaries of your imagination. Grunge is a style, which is, in my opinion, the essence of creative fun and freedom: you can put almost everything on your project and be happy with the effect you got. 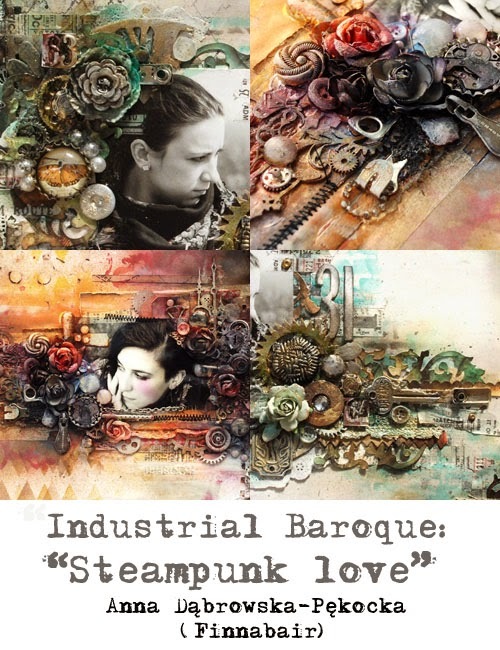 You may give as much or as little elements as you want, you may use medias and inks… Grunge is usually considered as “boyish” or “men” style, but I'd like to convince you that it also as the more feminine, crazy, eclectic side – let's call it “industrial baroque”. During classes I will try to convince you that creating a grungy, eclectic layout is not hard at all - and the only boundaries you have are those made by your imagination! I will make you look again at your embellishments and how you possibilities of using everyday objects as a part of your composition, giving them the uniqueness, personal touch and grungy style. I will show you finished projects and share my experiences from the creative process. On each class I will create with the students a full size layout including products from well known manufacturers and demonstrate possibilities of mixing different medias, scrapbooking supplies and found objects to get baroque look of your project. "Industrial Baroque" is a perfect combination of fun, experiment and playing with composition, color and texture. Class time: about 4 h.
Mixed-media Collage on double canvas. Great chance to get friendly with gels, gesso, sprays, pencils and a touch of stamping. For me collage is one of the most natural ways of communicating my moods, thoughts and emotions – maybe that's why I keep using my own face for most of my projects. I love the process of creating the “costume” and “scenery” for the actors in my small collage theater – and I want you to try it too! 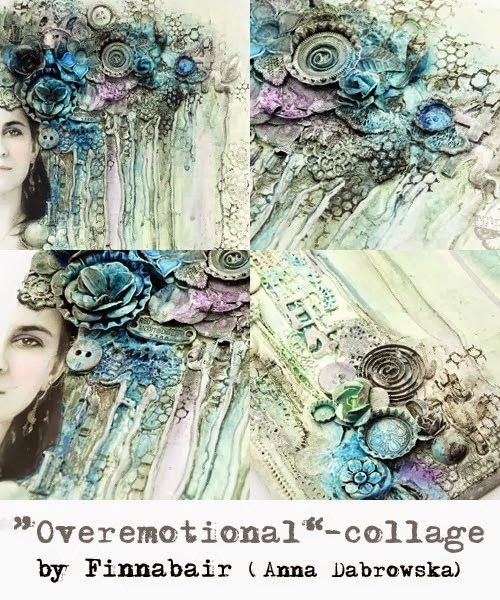 “Overemotional” is a canvas project wit more air and negative space yet rich in details and layers. You will be able to try combining such material as fabric, lace, flowers with metal and plastic objects and grungy findings of all kinds to create textured, rich composition as well as trying techniques based on heavy gel, gesso, sprays and stamping – all this to create one, unique project. I'll help you to create balanced composition and getting the best effects sharing my experience and creating new full project with you step-by-step. You will be able to choose colors reflecting your taste and personality and experiment with stamping, coloring and using pencils and watercolor pencils for the finishing touches. “Overemotional are 4h of pure creative fin in your fingers dirty in gesso, inks and paints – you can't miss it! All the elements, paints and mediums are provided – this project is suitable both for advanced and beginning students. 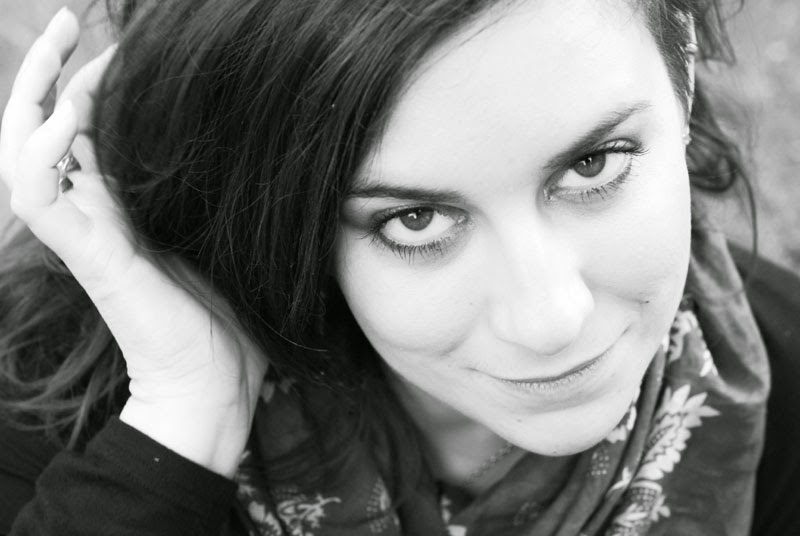 Ta gjerne en tur inn på Annas blogg for flere herligheter.